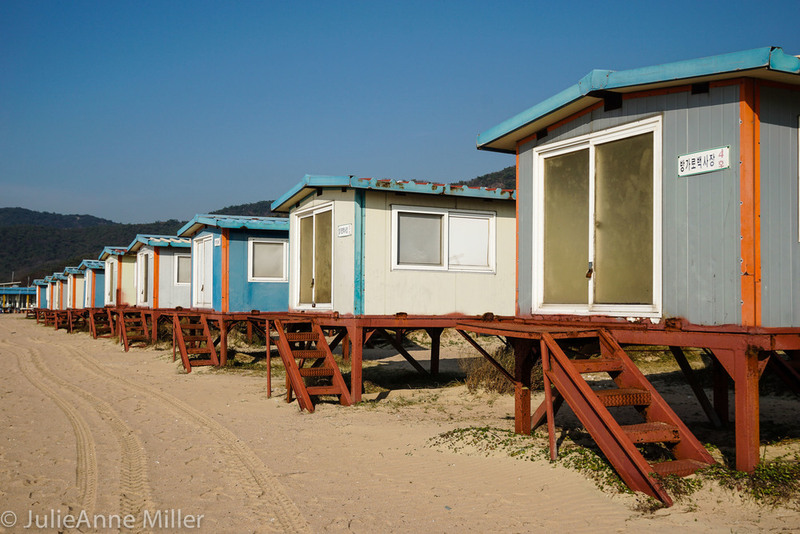 Beaches in Korea are often packed in the hot summer months. Go on a chilly day in November, however, and the sun beams for you alone. 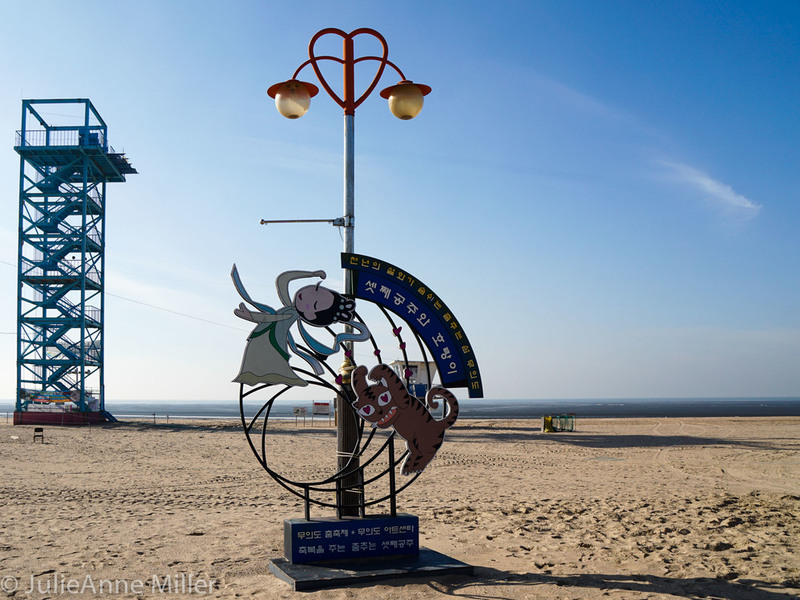 Muui Island (무의도 "Mu-ee-do") is just across the bay from Incheon airport but immune to Seoul's urban vibe. 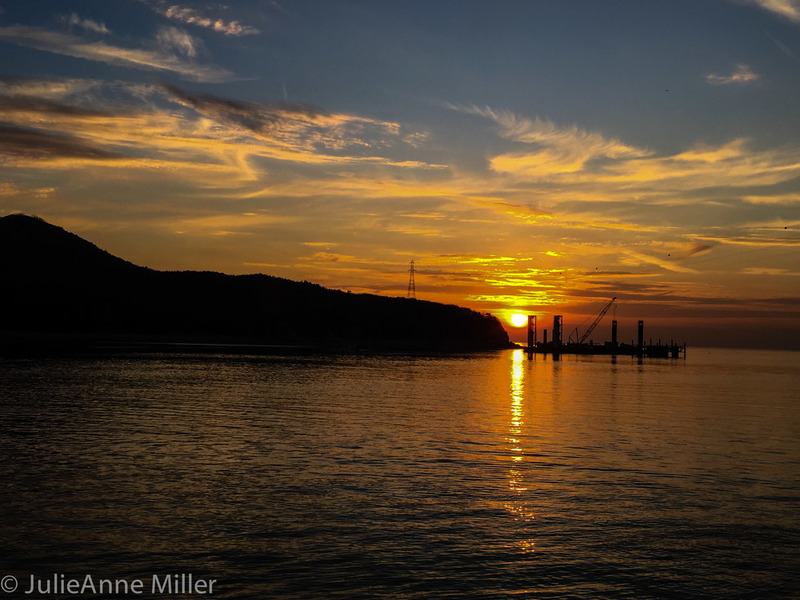 This tiny rustic island is a terrific place to escape for a day of rest or exercise, with the most incredible sunset view in all of Korea. The sea area around Incheon and Muuido is exposed as a vast mud plain when the tide rolls out...and boy, does the tide ever roll out! 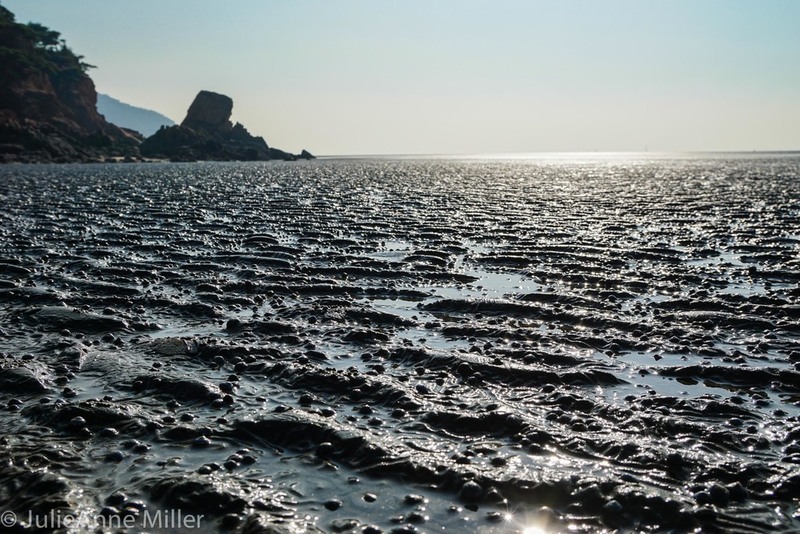 At low tide, you can walk the mud flat for kilometers before meeting the edge of the sea. The word "mud" sounds sticky and unappealing, so allow me to explain further. I expected my feet and shoes to be sucked into it, but this is not the case. The mud plain is very firm beneath your feet; more firm than the sandy beaches leading up to the mud flat. It feels like walking across a springy padded mat, so please don't let the mucky word "mud" deter you from a unique experience! Stepping off the ferry at Muuido, there's a small little port village with a few restaurants, a convenience store, and many pension houses. In the off-season months, most of the businesses catering to tourists are closed. On the day I visited, a couple of local fishermen in thigh-high rubber boots were smoke-drying fish and drinking coffee around the small fire. They pointed me to a small green bus. I hopped on and waited, not exactly sure where it would take me. 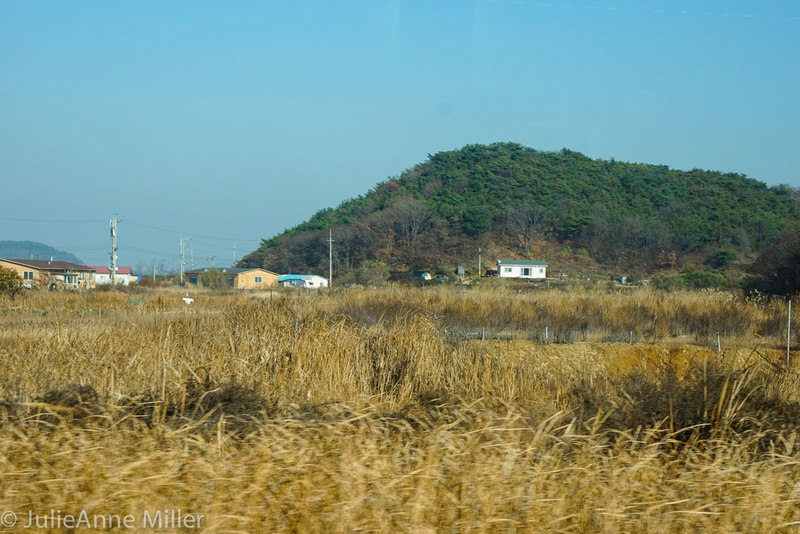 I learned later that the local bus does a loop around the major attractions in Muuido, including various hiking trail heads, small villages, and two beaches. The island is quite small. I imagine you could traverse the length of it -- stringing together a few different hiking trails -- in 3 or 4 hours easily. Most of the visitors to the island the day I visited were hiking. I was the only person who hopped off at Hanagae (하나개) Beach. After the bus wheezed and coughed its way into the distance, there was simply complete silence and not another soul. The plaza leading to the beach area was closed; not a single restaurant or shop was open. This was a bit disappointing because I had been hoping to enjoy a giant bowl of of bajirak kalguksu (바지락 칼국수), a salty clam noodle soup, and some cheap beer. Solitude has its price. With the entire beach to myself, I explored a bit and then decided I wanted a bird's eye view. From the parking lot area is a trail head that climbs to an overlook. The short hike took maybe 30 or 40 minutes. Towards the top, the trail is a little steep, but there is a rope rail for assistance. 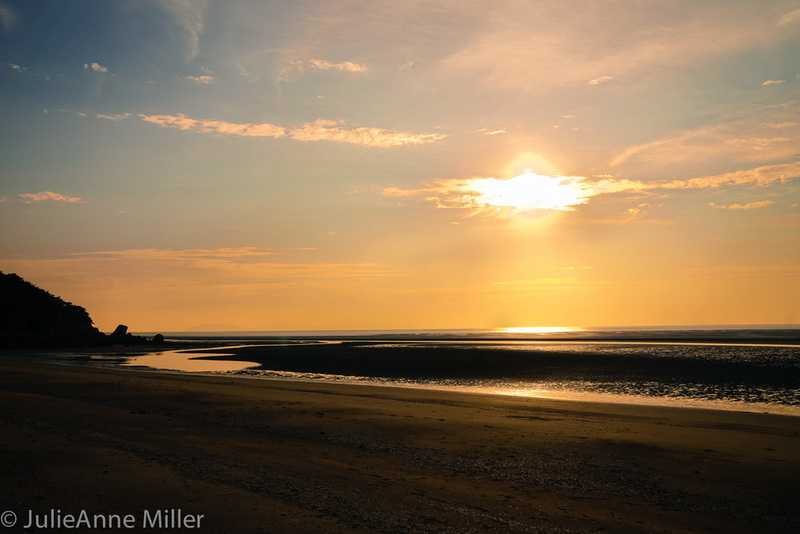 I returned to the beach as the sun began to set. I enjoyed the show, but could not stay through "fade to black". 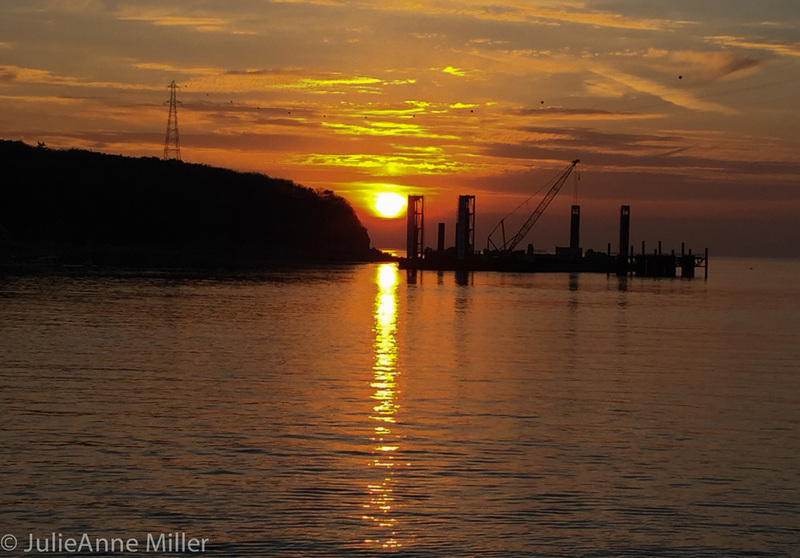 I had to catch the last ferry back to Incheon, which leaves early during the winter months. 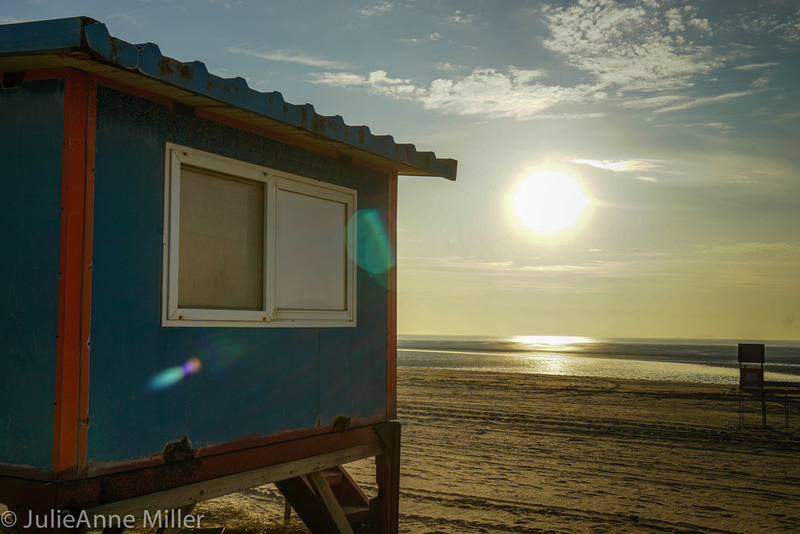 From the ferry, though, I could almost hear the sizzle as the sun began flirting with the sea at the edge of the mud plain.